could have the same sense of intrigue, surface and presence as any other print process. 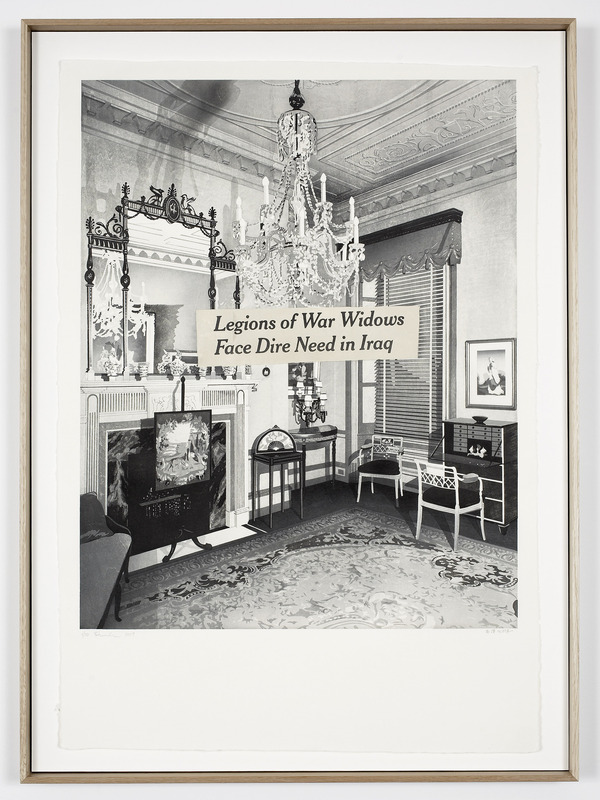 The impact of digital technologies on contemporary printmaking is a contentious issue. which overcomes the awkwardness of hand-crafted images through collage. and examined the impact of these technologies on the nature of contemporary printmaking. to a physical engagement with materials. are a non-physical activity. It is a mechanical and non-biological act. he questioned the existence of a 'digital aesthetic' in contemporary Australian printmaking. There was Ric Spencer speaking about the Freemantle Arts Centre Print Awards. The most interesting part was that they had a very broad definition of 'print'. of ideas and processes in print, inclusive of photographic and multi media works. identity, social and political history, mass reproduction and dissemination. All of these works highlight the relevance of print within contemporary art practices. that to be a 'print' it had to included 3 things; a matrix, transfer and a substrate. I thought that provided a lot of scope and allowed broad exploration within printmaking. for studio outputs to potentially transcend disciplinary boundaries. this talk discussed some of the rationales of such an evolving paradigm. to initiate opportunities for potentially new processes, knowledge and modes of practice. Art educators are trying to balance the demands of both generalisation and specialisation. at the expense of highly developed specialised craft and technical skills. as they are forms of knowledge that are acquired through physically making and doing. not the 'slaves' of technology. of the fields of practice for which they prepare their students for. including photography, paper folding, cutting, pop-ups, binding etc. They made some very interesting 'books' that documented a journey. alternative architectural and landscape architectural representation and production. and of crafting products within design learning. due to its 3-dimensional qualities. Books implicitly embrace the notion of documentation, as records of past events. the books they made held the unfurling narrative. This then allows, and values, documentation to be admitted within the design process. the recursive and reflective elements within the design process. as a presentation tool, and the role of hybrid representation. through which architectural representation may be examined and critiqued. and propositions in 3-dimensional form. and its inherent attributes in the practices of Brook Andrew and Trent Walter. as well as its significance in the artist/printer’s expanded practices. and what knock–on effects it has produced in their ongoing and separate studio works." Brook Andrew, Legions of War Widows Face Dire Need in Iraq, 2009. They also collaborated on Danger of Authority series with a Japanese master carver. as the woodcuts are very large, look digital but are entirely hand carved! Also the screenprints in this series are 200x143cm! Check out more images on Brook Andrew's website. It was interesting to hear how artists are working together in printmaking. There has been a move away from the singular masterpiece in favour of bodies of work. being both accessible as a multiple and in a format that can remain intact in perpetuity. centered on the propositions of series, sequence and variation. that work as individual prints and also as a series. It includes linear drawings, with different treads, embossed prints etc. which when seen together show both breadth and depth of his investigations. 'Technique et Architecture' which showed the development of tyre treads from 1902-50.
with line drawings he overlays in different combinations. such as 'seven deadly sins' or an alphabet. Screenprint, edition of 30, from set of 7.
and how that may add to it's value and narrative. the insects he collected and documented. 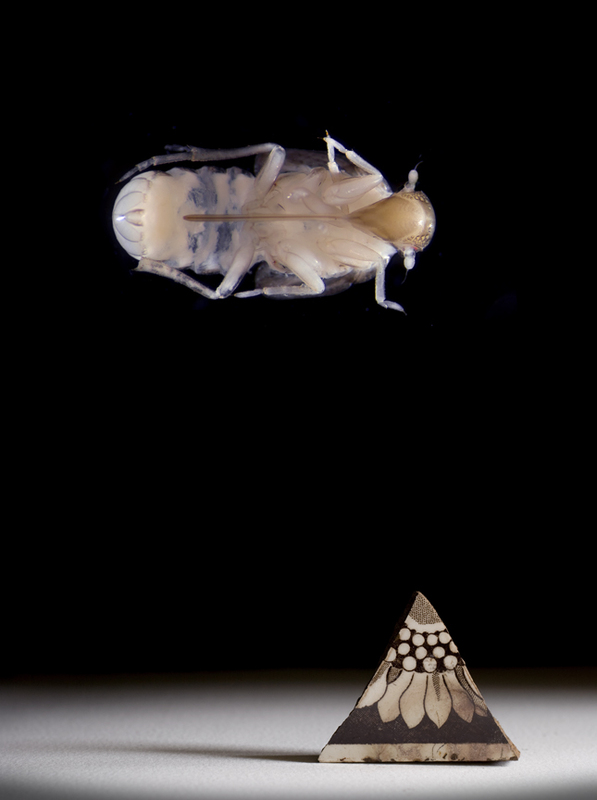 The synergy of art & science has proved fertile ground for both artists and scientists alike. and the impact and implications this has had on the fine art image-making process. involving a fine artist, a botanist, entomologist and an ecologist. and an uncovering of several invertebrate species new to science. This might make a great project for art & science for school students. More Images from this project can be found on John’s website. each one is unique but made by a process of repetition and mirroring. provides the artist with unprecedented opportunities for the creation of 'printed' images. Where is the artwork situated in this context? What is the role of the artist? How a digital and traditional printmaking practice can support one another”. of confused realities and minds controlled by machines, most notably computers. It appears that some of this fear has invaded the print studio. of the 'invisible matrix' created when computers are used in printmaking. and how the handmade and handcraft aspects of print can be supported and broadened. to keep their computer skills active when making work. given that young people are so embedded in the digital world. it will be 'as well as' the digital, not 'instead of'. The session also included two presenters from Dundee, Scotland. using their mobile phones in both studio & gallery environments. and provide connections for the viewer, making artworks more accessible. It sounds like a great way to get viewers to interact with artists using technology. through linking objects to the Internet via emerging technologies such as QR Codes. to digital media content which can be played on a mobile phone. in Print studio at Dundee Contemporary Arts. introducing a range of new technology to a traditional open-access print workshop. with traditional print-process, in order to exploit the best of both. and is extensively used by artist members, students, schools and community groups. Digital laser-cutter: for accurate cutting and engraving of paper, wood, acrylics and stone. Digital router/engraver: for metal, plastic and wood matrices. Digital knife-cutter/pouncer: to render imagery in opaque film (Rubylith) and/or vinyl. Large format digital printer: to create halftone positives and high quality inkjet printing. using the most contemporary technology available as well as the most antique. and even directly cutting and burning surface of paper directly using images made digitally. Here is a quick summary of what happened on Day 1 of Impact7 conference in Melbourne. even before the event had started it was great to make some new friends from NZ! 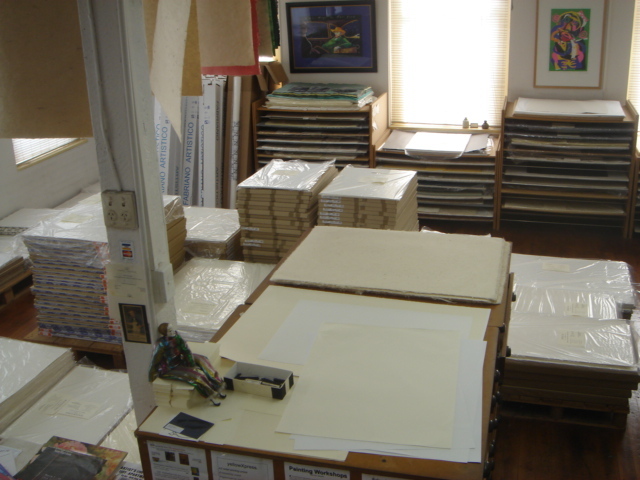 who prints work for artist Mike Parr (AU). including marking the plate with an angle-grinder. The works (as with the one illustrated above) can often be 2x5m! Click here to see more works from Mike Parr. Simon Kaan, Untitled Series 11-Oval I, 2011intaglio woodcut, paper size 89x21cm, edition of 12.
which were featured in one of the hallways of the gallery area upstairs. embossed relief print, paper size 38x55cm, edition of 12.
with that of landscape erosion geomorphology. one thing assimilating the nature of another adjacent to it. In this adjacency each connects - their fringes intermingle. that socialized over dinner by the Yarra River, talking printmaking and life. so I’ll keep you informed over the next few days. over the rest of the week. so I thought I'd add this printmaking app just for you! for your 'virtual' printmaking enjoyment! and aspects of intaglio printmaking and paper embossing. If you are interested see ArtStation's website to enquire about booking. September Specials Catalogue from Fine Art Papers. I saw this print recently and thought the idea was very clever! As my office is in the studio, I've occasionally decorated my white keyboard with inky fingers. and the ways in which digital language can be confusing and tricky. Her artist statement hints at her enthusiasm for turning the digital into print. information is copied, distorted, and reproduced. The data that you located on Monday, seems to have vanished by Tuesday. and through printmaking I stabilize them with a physicality. Be careful: "simple" lithography don’t mean "easy". You must take time to your dexterity to succeed. at 5pm on Friday 23 September. 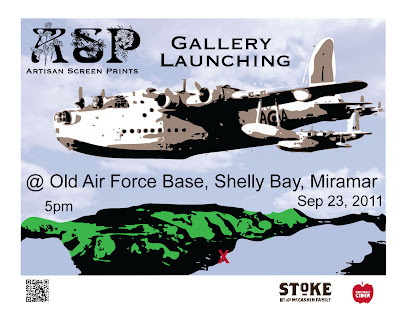 So if you live near Wellington, I suggest you go check it out! ASP melds screenprinting 21st century tools and a planet friendly ethos. They use their own Workshy range of shirts ensuring ethical and artistic integrity. that are as eco-friendly as humanly possible. and their own series of fine art prints. Screenprint, 70x50cm, edition of 100.
into a screen printing studio and gallery. I found lying about when I moved in. for its six artist-in-residence programmes for 2012.
by no later than 5pm on Friday, 28 October 2011.
have created some dynamic emerging contemporary art scenes. who want to engage in these changes first-hand. with other international artists and curators. for artistic collaboration and exhibition outcomes. and to seek opportunities to share their experience on their return to New Zealand. a contribution of NZ$300 towards travel insurance. and able to exercise a degree of autonomy and self reliance. Click here to see their website for more details.